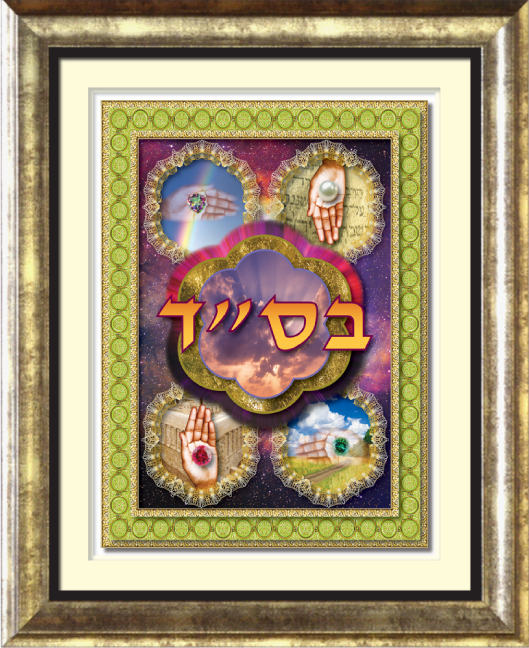 All Ashra Designs :: Judaic Art Creations will arrive signed by the artist, Gabrielle Mizrachi-Mallin. Each design is printed on premium glossy photo paper and premium printer inks. A detailed explanation of the symbolic meaning of the design is also included. We highly recommend that you locate your Ashra Designs Judaic Art in a cool place away from direct sunlight. Please note:: The materials used to create these beautiful designs are of the highest quality. The glass used for all 3D framed art is UV protective glass. If you are purchasing a matted print, when framing choices are made, we strongly suggest that you choose a UV protective glass to further ensure that the vibrancy lasts for generations to come.